Since red eye flights are still the less popular choice, airlines do their best to make it more attractive, and one way to go about it is by slashing prices. Don’t be surprised to discover that the price of your overnight flight is actually less than half of a normal day time flight. If you aren’t taking business class flights or adding more legroom to your flight bookings, you’ll be sitting on a standard seat and sleeping on one. 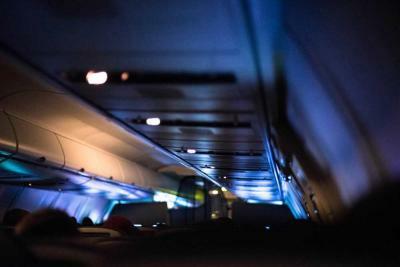 On overnight flights, there will usually be more vacant seats. Although this is definitely not a given, there’s a higher chance that you’ll actually get to put your legs up when you choose to sleep. You know where you’ll be sleeping if you take a red eye flight. Of course, nothing beats sleeping in an actual bed with four walls around you, but you’ll get to save on a night in a hotel room. Add an eye mask, a pair of ear plugs and a comfy wraparound and you’re good to go on any overnight flight. With more people, you’ll naturally have more noise (and yes, this also applies to a library). Since overnight flights are never the number one choice, you can also expect significantly less traffic and occupied seats. Even if you were just planning to sit down and relax before your flight arrives, it’s a lot more peaceful compared to daytime flights. Just imagine a traffic jam but replace the cars with planes instead. If you thought getting stuck in your car was bad, you probably wouldn’t want to get stuck in a plane or at the airport. To reduce the likelihood of this happening, do consider overnight flights. With fewer planes on the runway, you will more likely get to board your plane on time. It’s pretty normal to see people rushing about at airports during the daytime, but if you take an overnight flight, you’ll experience a whole new relaxing world. Not only is it less jam at night, but you can also do yourself a favor by taking our Destin limo service instead. Our chauffeurs are some of the best on the road, so you can definitely sit back and relax while we take you safely to your next destination. We are more than happy to offer you the best limo service Destin FL residents and tourists can always rely on.